A woven English Girl at Home tag. I’ve been planning to make sewing kits for some time, having been asked by a few customers at craft fairs last year. 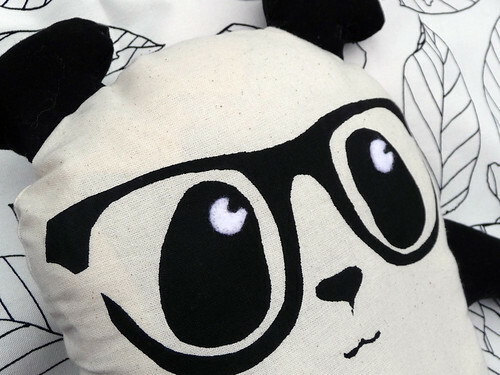 The kits make it nice and easy for sewing beginners to make a toy due to their simple design and the inclusion of supplies, and they’re a super quick make for anyone with sewing experience. So, how do you win one? 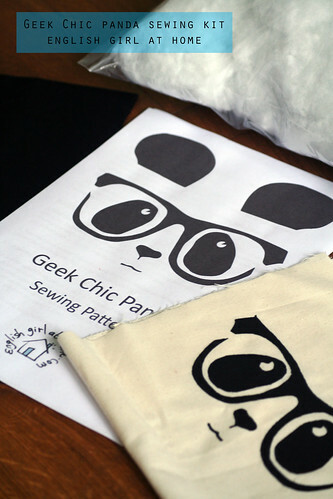 I’m giving away one Geek Chic Panda sewing kit. To enter the giveaway leave a comment below. The giveaway will be open until 22:00 (UK time) on Monday 14th April and is open internationally. I will pick a winner at random. For more information about the kits, visit my Etsy shop. 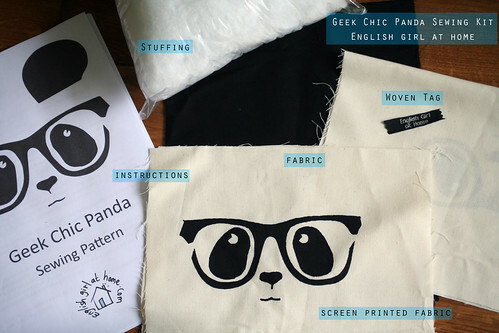 Categories: Screen printing, Sewing, Toy | Tags: geek, giveaway, nerd, panda, sew, sewing, sewing pattern, toy | Permalink. Monochromatic friends are the best! 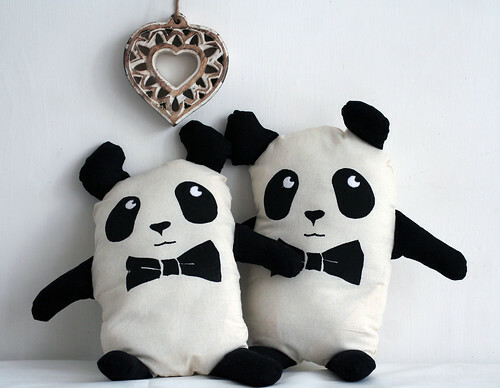 I love your pandas! And I’d love to try making one, thanks for holding this giveaway! The kits are a great idea – they’d make a lovely gift for someone starting out at sewing. I love these – especially the one with the cute glasses! Thanks for hosting the giveaway. My daughter would love this! May this be the first of many lovely patterns! Oh god. This is just too cute!!! !